As the traditional motorsport season comes to an end, leading research firm Nielsen has revealed new insights into the virtual version of the sport. It claims that eSports sponsorship has a bigger impact on brand awareness and purchase intention than brands that are engaged in traditional sports. Nielsen is also providing eSPORTS+CARS and its partners with even more confidence in the on-line racing genre with this insight. 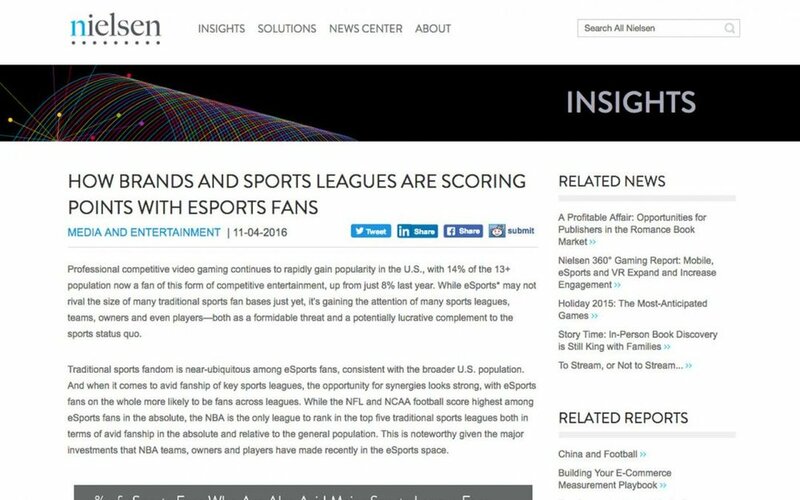 “eSports fans … show a stronger affinity than the average American for three key sport types: combat/fighting sports, racing, and U.S./European soccer,” claims the Nielsen report. The eSPORTS+CARS team have been competing in major championships in recent weeks backed by major brands including Microsoft, Michelin and Red Bull. “The data is now being provided to back up the insight we have had for a long time, that online racing is poised to be one of the key growth areas in eSports and that brands can benefit greatly from getting involved early on the growth curve,” said eSPORTS+CARS Founder, Darren Cox.